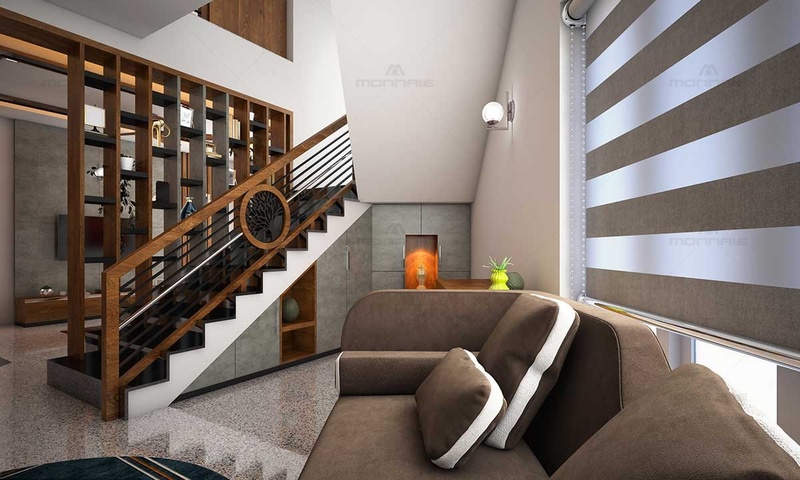 “Each nook and corner of our homes speak volumes about our personalities.” This luxurious, robust and user-friendly home designed in a contemporary architecture style with a touch of classic elegance is a perfect example of what modern luxury looks like. 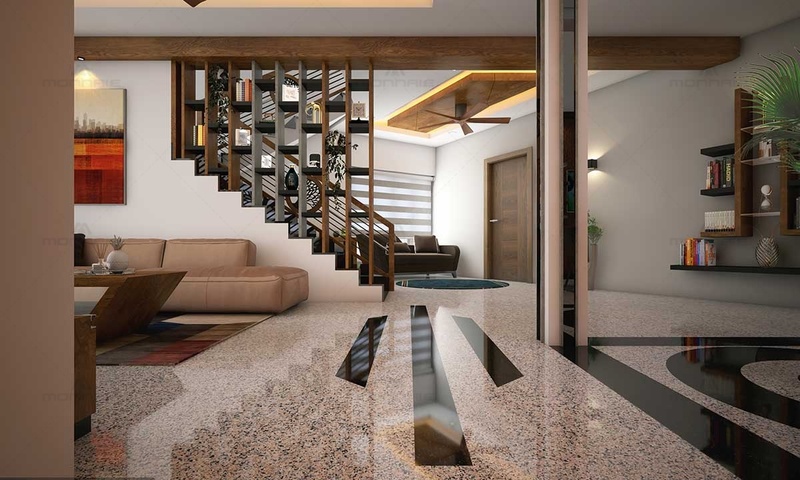 The natural beauty of granite flooring combined with the wooden finished laminates serve as a trend setter in this voguishly designed interior décor. 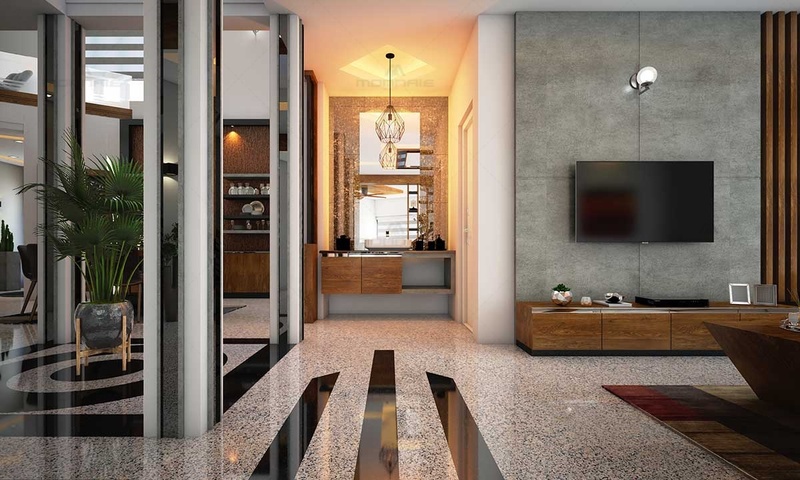 Four marble cladded columns surrounding the dry courtyard area with skylight on top highlights the interplay of shadow and light. 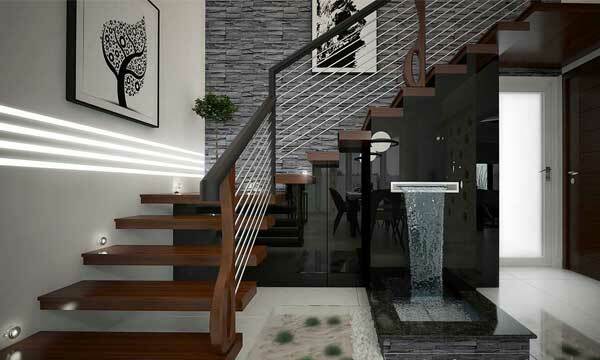 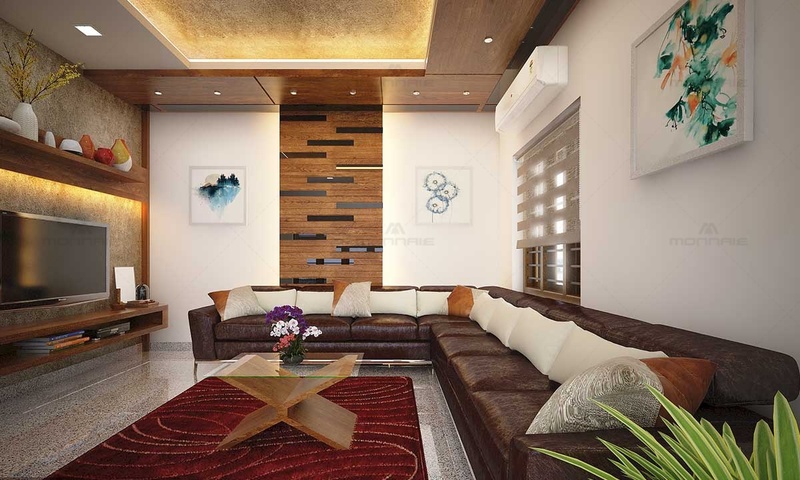 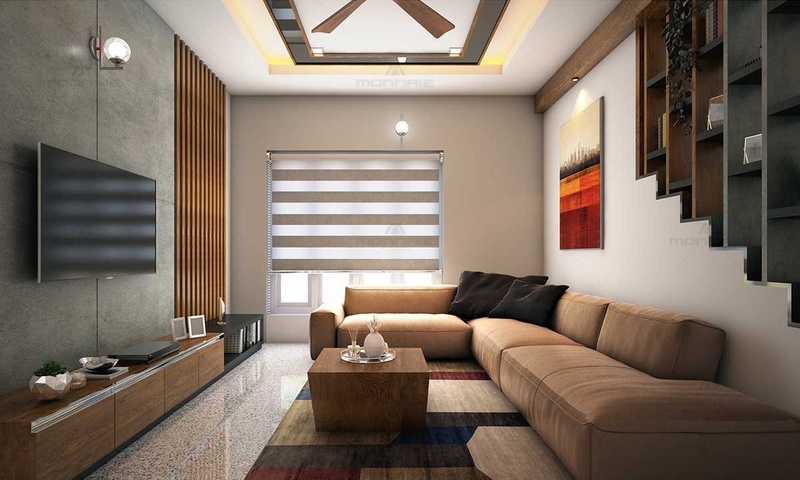 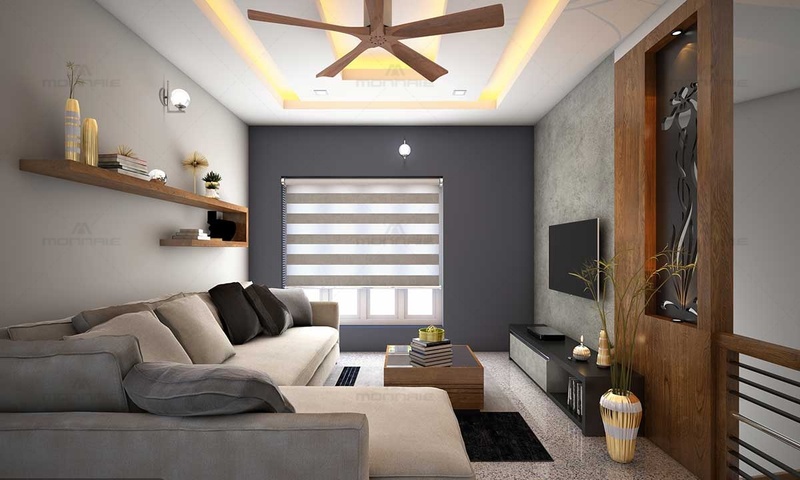 Utmost importance is given to the false ceiling design of each spaces making it unique and in line with the context. 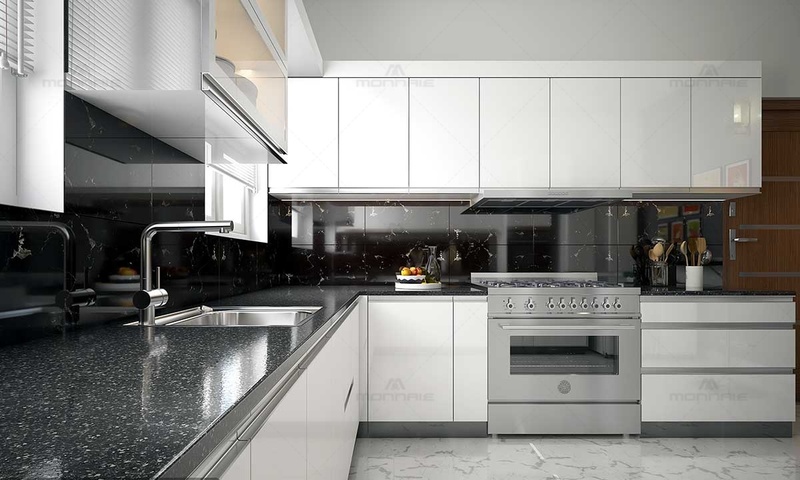 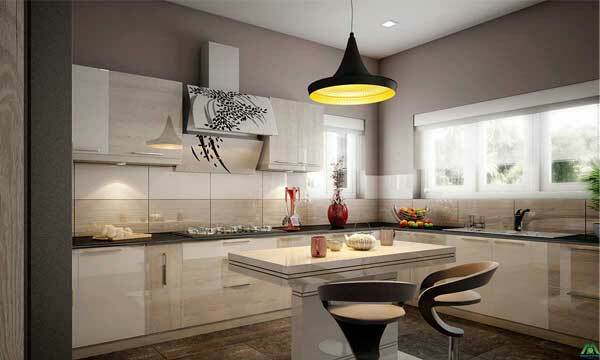 The modular kitchen interior with the elegant bedroom designs together creates warm and cosy touch throughout. 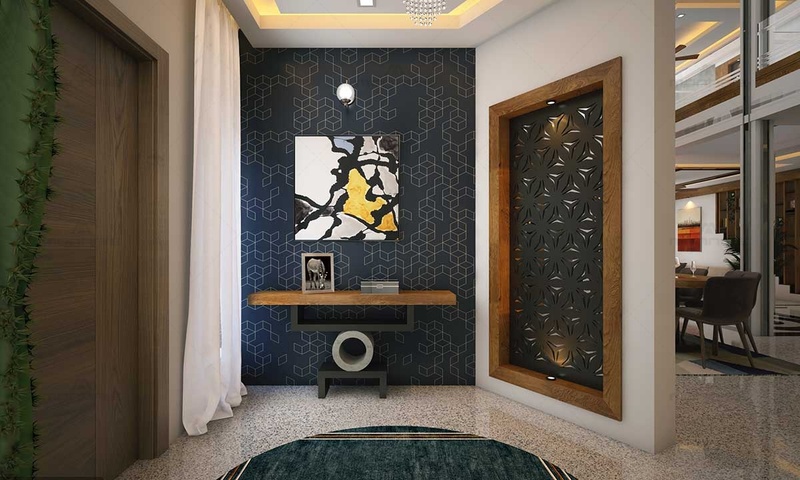 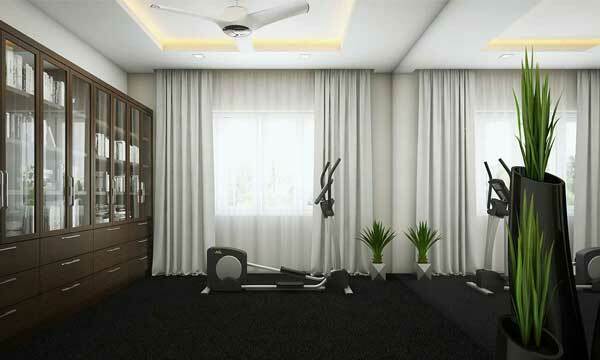 Being one of the top interior designers in Palakkad, Kerala we ensure hundred percent client satisfaction in all our home interior designs.